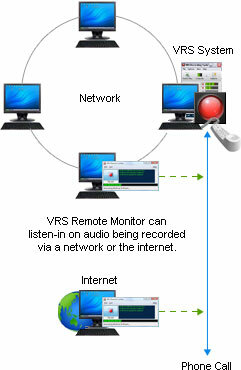 The VRS RemoteMonitor is a tool that lets you listen to audio being recorded by the VRS Recording System. It uses a streaming TCP/IP connection to let you listen to the audio live. You can listen over a local network or over the internet. Implementing the VRS RemoteMonitor is easy. After you have installed the VRS Recording System on your central computer simply install VRS RemoteMonitor on any workstation that you would like to allow to listen-in on the audio. This tool requires VRS Recording System version 3.06 or later. 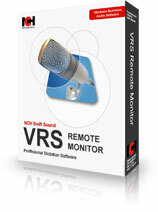 Assuming you have purchased a valid license for the VRS Recording System, the VRS RemoteMonitor is free. If you have problems running the VRS RemoteMonitor, please see www.nch.com.au/vrs/support.html.